Prices for the three grades of gasoline light up the pump at a Shell station Friday, May 25, 2018, in southeast Denver. 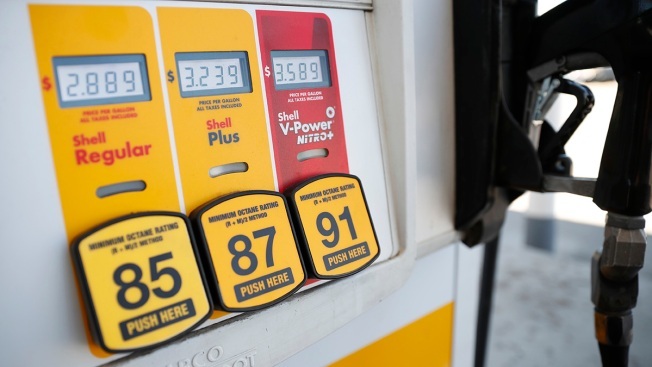 In the past two weeks alone, gas has jumped at least 12 cents per gallon, sending motorists on a course to pay the highest Memorial Day prices since 2014. Regular gas is predicted to cost $2.95 per gallon this holiday weekend, an almost 50 cent jump from this time last year, according to data from AAA. Drivers will end up paying $1 billion more for gas, reports GasBuddy.com. That means savvy drivers will be looking for ways to trim their gas costs. Driving 5 mph under the speed limit can contribute to fuel cost savings, Patrick DeHaan, Head of Petroleum Analysis for GasBuddy, told NBC News. Also look out for cash discounts, credit surcharges, and take advantage of loyalty programs that offer savings at the pump, he said. Members of wholesale discount clubs like Costco and BJ's may also receive gas discounts at the gas stations attached to them. Other ways to ease gas expenses include avoiding starting and stopping abruptly, easing your foot off the gas, and maintaining proper tire pressure and clean air filters.